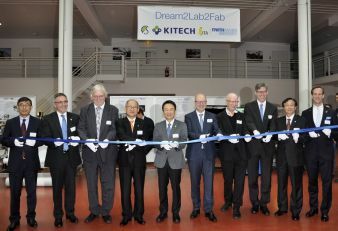 On 16 November 2016, the Institut für Textiltechnik of RWTH Aachen University (ITA) opened the Dream-to-Lab-to-Fab located in Aachen. This worldwide unique cooperation brought together the competencies of the respective partners, the Korea Institute of Industrial Technology (KITECH) and the Sungkyunkwan University (SKKU), in order to realize the serial production of intelligent textiles (Smart Textiles) in cooperation with small and medium-sized enterprises (SME) from both countries. 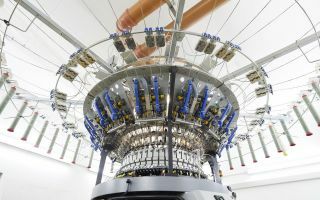 ITA, as part of RWTH Aachen University, stands for the automated textile production technology, which is being advanced at the Aachen research center. The Korean partners bring in their excellent know-how in textile materials, consumer electronics and digitalization and are setting up a new center in Korea in the first half of 2017. Smart Textiles adopt a wide range of functions in human everyday life, e.g. medical monitoring of body functions, sensors in working and protective clothing and or energy recovery by textile photovoltaics. Market scenarios are expected to be on the order of about US $ 12 billion in 2020, with a growth rate of about 20%. This is a huge potential for medium-sized companies from both countries to develop new business segments and business models and to create new jobs. For this purpose, approximately € 20 million will be invested in research centers in both Germany and Korea. Dream2Lab2Fab is based on Industry 4.0, the interconnection of industrial production with modern information and communication technology. 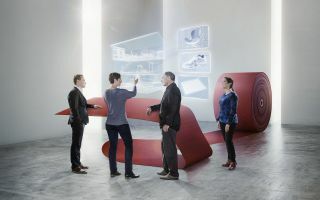 Intelligent, cross-linked systems enable a widely self-organised production and allow a direct communication and cooperation between people, machines, facilities, logistics and products. Thereby, the manufacturing processes become more flexible and it is possible to produce goods customised as well as in series. - embroidery technology for Smart Textiles – for the first time it is possible to apply electronic features, e.g. 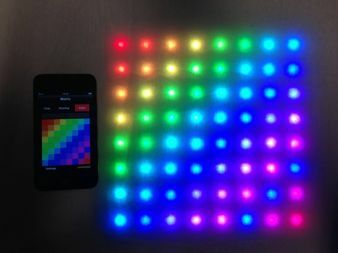 a lighting function of the textiles by using embroidery technology with conductive yarns (see attached picture 2 “Embroidery technology for smart textiles”, source: ITA). 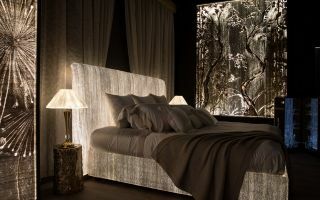 - heating textiles - textiles which can be heated by electrically conductive fibers and current supply. Dream2Lab2Fab manifests the three years of continuous collabora-tion between ITA, KITECH and SKKU in the building at Vaalser Strasse 460, in order to do some research together on the subject of "Smart Textiles". The cooperation will be expanded by further bilateral research projects and industrial cooperation. Therefore, the cooperation with other RWTH departments is supported to promote interdisciplinary research. Within the next three years, the construction of a new building is planned in both countries.